I am almost positive that every person reading this article has looked through at least one piece of glass today. However, when you hear the word “glass”, your initial association may be with something you drink out of, or perhaps a vase or some other ornamental décor piece sitting on a mantel. But the high performance glass I am referring to is the glass we look through on a daily basis: from bedroom windows, sliding doors and skyscrapers with glass fronts to windows installed in cars, busses and ships. These high performing glass surfaces are severely underappreciated because they are often designed and produced to go unnoticed. Taking a peak behind the production and logistics of glass windows and doors reveals an elaborate, complex, and amazing process. The main ingredient for producing glass is Quartz sand. Soda, Calcium, Dolomite and Nepheline are added, mixed and melted together. These ingredients will vary depending on the desired outcome. The process is called “float” because the glass rests on top of a tin bath in the oven before being rolled to the cooling station. During the float process, colors as well as certain coatings can be added to the glass. This is the first step toward “high-performance” as colors and coatings can already add some comfort and thermal control properties. The end result of the float process is typically a large sheet of glass. Thicknesses vary between 2mm and 25 mm with standard sheet dimensions of 6 meters x 3.2 meters. But these sheets, designated for high performance applications, have only just begun their journey. After the float process, glass is often passed on to a different factory specialized in adding performance features to the float glass. 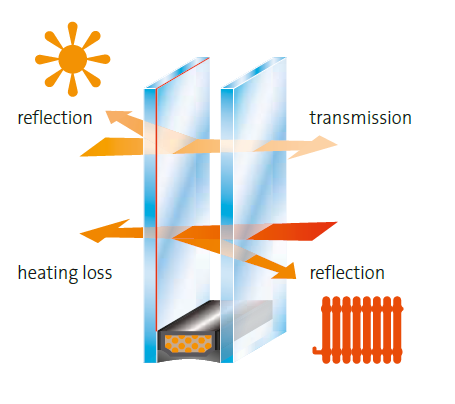 In order to improve the durability of the glass, it is put into a tempering oven. The glass sheets are heated to a point of almost melting, approximately 630 degrees Celsius. In order to avoid heavy deformation, the sheets are sent back and forth inside the oven to avoid bending and imprints from the rollers. After the oven, the glass enters the cooling chamber and is blown with cool air streams. The center of the glass remains hotter than the outer layer, pulling in on itself. The outer layers are cooled faster, pulling in an upward direction – creating the tension. The glass remains in this “stressed” or “tempered” state after it is fully cooled. 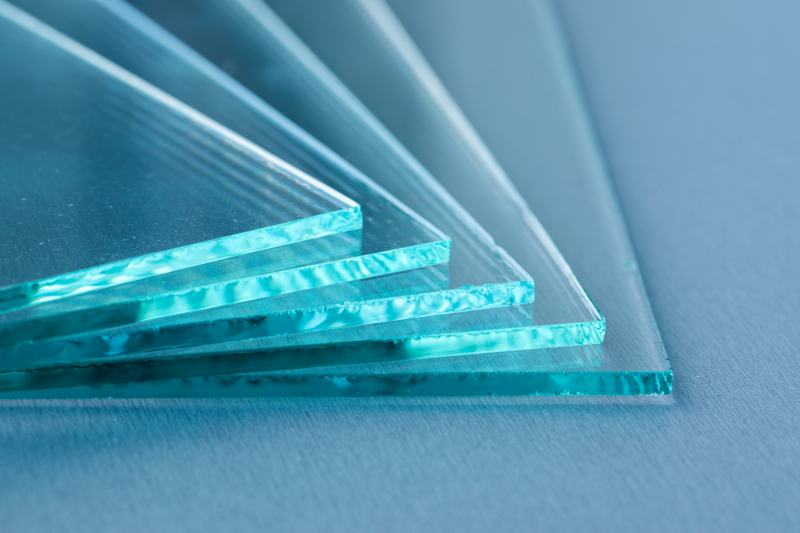 Tempered glass is referred to as safety glass because of its breaking properties. 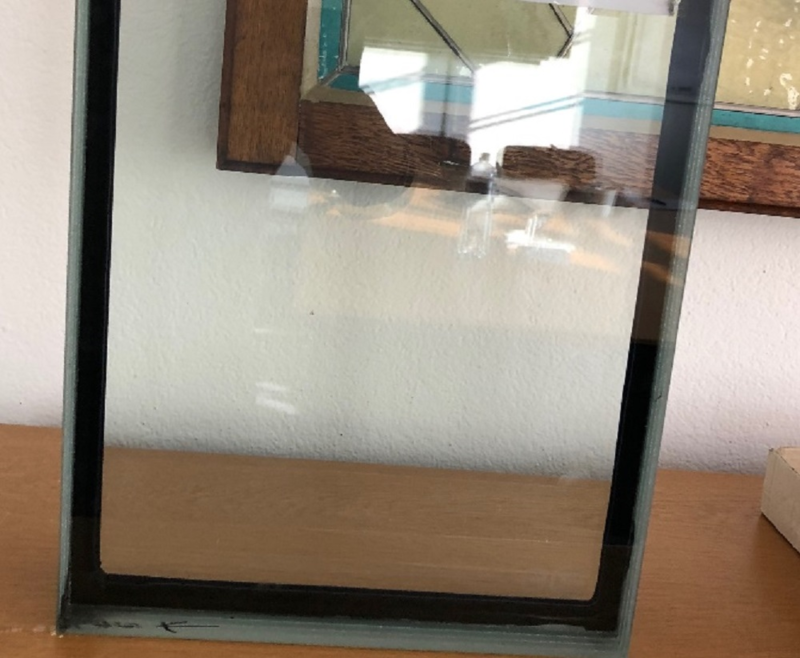 A glass that has been tempered will burst into many little mostly harmless pieces instead of breaking into large sharp pieces as would be the case for normal float glass. Taking safety to another level, some tempered glass is passed on to a lamination department in which two pieces of glass are pressed together with a sheet of polyvinyl butryal (PVB) in between. This provides the glass with even more stability and pressure resistance. Certain compositions can even protect against gunshots and explosions. Glass is often seen as a weak-point in a structure, but when combined with tempering and lamination processes, these glazing solutions can withstand tremendous impacts. Another common performance enhancement for glass used in commercial buildings and on ships is fire resistance. After being tempered, two glass sheets are pressed together with a spacer in between. A gel-like substance is filled between the two panes which, in the event of a fire, produces a chemical reaction and acts as a shield against the flames and prevents radiated heat from escaping. Therefore, glass can serve as a sort of fire containment within a structure. The truly amazing part is that, during the production process, the opaque gel used to prevent the spread of heat and flames during a fire turns completely clear after being heated in an oven. Therefore, people looking through a fire resistant window or door are none the wiser. But in the event of a fire, the gel turns back to its original opaque state and prevents the flames and radiant heat from entering important escape routes. If you have ever broken a glass object, you can understand the delicate nature of the product. 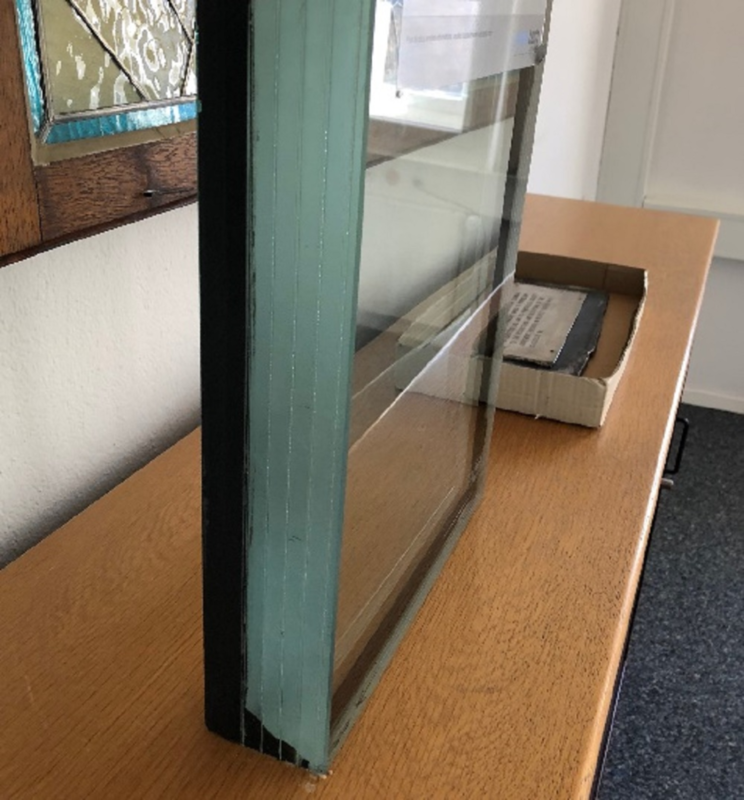 This makes the transportation of these high performance glass solutions quite tricky; both in internal logistics processes and finally to the end consumer. One wrong move with a forklift could burst multiple panels on a pallet. For this reason, special packaging strategies and transport instructions are of utmost importance. Before being mounted in a frame in the façade of a skyscraper or aboard a ship, glass panes go through an amazing journey, including various stages of production. Aside from the enhancements mentioned above, it is also possible to add many design elements to the panes such as ceramic colors. Furthermore, additional safety features such as alarms and heated glass can be added using intricate production processes. And perhaps you have even seen the glass that can offer extra privacy, switching from transparent to opaque with one click of a button! 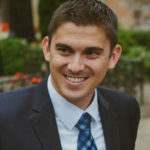 What are some other amazing supply chain journeys you have come across?